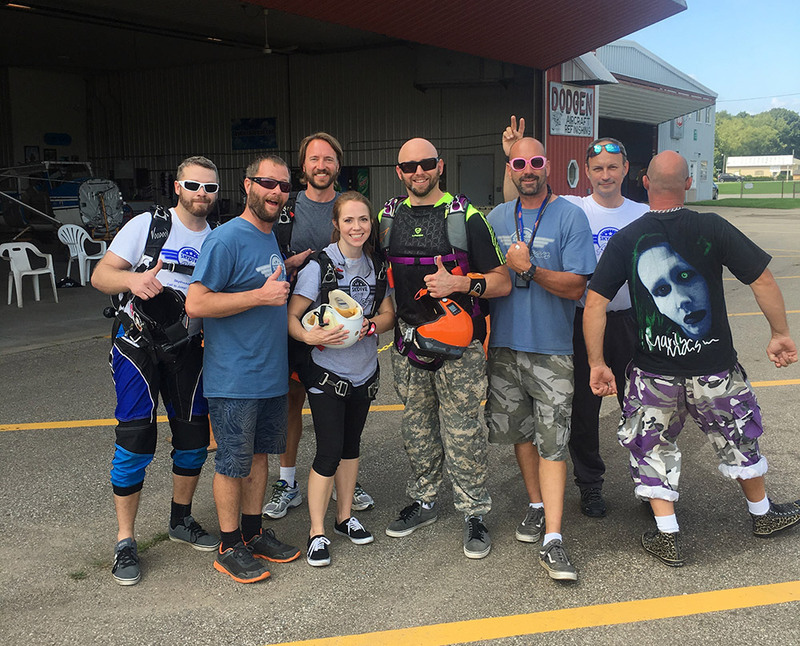 With our first Turbine Boogie of 2017 just a few days away I figured a few words about how to survive a boogie (a term used to describe a skydiving event) couldn’t hurt. For those who have never been to a turbine boogie or turbine drop zone the experience of many times the normal amount of canopies in the air and in the pattern at one time or the high level of experience that turbines bring to the DZ can be intimidating. Longer jump runs in the faster flying aircraft can mean flying your canopy back from a long spot many times in a day or have you looking for outs more than your used to. Pushing the limits of your experience on big ways can put you and others in new and awkward situations and your tracking skills will be put to the test. Also, the night life after a big day of jumping can drag you into the wee hours leaving you tired and dehydrated for jumping the next day. The best thing you can do to keep yourself safe at a boogie is be honest. Be honest with yourself and others about your skill level. Don’t lie about your jump numbers. Every jumper at the drop zone had the same amount of jumps you do at one point in their career. Talk to the Load Organizer or the S&TA at the DZ if you would like some help connecting with jumpers closer to your skill level or a more experienced jumper willing to do some coaching. Next, at break off altitude track like your life depends on it (because it does) and start flying your canopy as soon as it deploys. Be prepared for a canopy collision and ready to avoid one. While under canopy try to maintain your separation from other canopies using braked flight to stay above traffic or front risers and/or turns to stay below. Just remember to look before you spiral down. The low canopy has the right of way. If the main landing area isn’t an option make the decision for an alternate at 2,000 feet not 200. Know the DZ phone number to let us know your OK and we will send someone out for you promptly if you do land off the airfield. Lastly, take care of your body and mind by getting enough sleep before jumping and staying fed and hydrated. The after jumping parties at these events are epic but they will rob your body of vitamins and leave you dehydrated the next day. In closing, boogies are a great way to gain experience and jump numbers but they are not just another day at the drop zone. Make sure you do your gear checks, check your spot before exiting, clear your airspace before deploying, maintain separation from canopies all the way to the ground, don’t overdo it at the bonfire and by all means…. Have Fun!